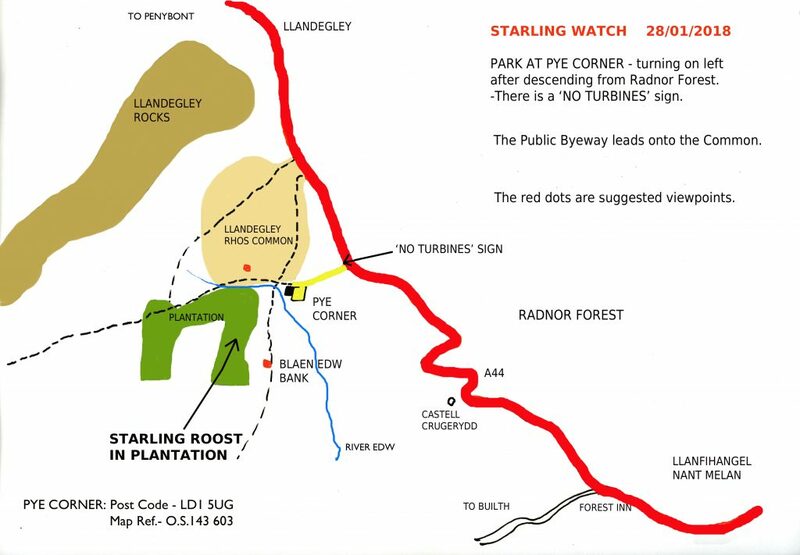 We have been notified of a spectacular event which takes place on Llandegley Rhos common, not far from the Pales, when thousands of starlings converge on this section of the Radnor Forest. Full details are given below. Llandegley Rhos Common is accessed by the Public Byeway which leads across the common towards the plantation. Suggested viewpoints are from the Common and from Blaen Edw Bank, accessed by a footpath from the byeway. Sunset is at 4.55 pm on the 28th January, and the starlings should be streaming in for twenty minutes from about 4.20 pm.